The primary purpose of an air conditioner is to make sure that your house has access to clean and fresh air throughout the day. Dirt, dust and rust can cause poor quality of air in any room to the point of presenting a risk to your health in the form of allergies, headaches, irritation of your eyes and other breathing difficulties. Your house may also fill with the unpleasant smell if the air conditioner is not in a perfect condition to prevent the entry of these particles. Regular maintenance is therefore critical in ensuring that your house is supplied with clean and fresh air. It is perfectly reasonable for any equipment to reduce its effectiveness over time as long as it is functioning. The reason is due to wearing out of some of its part among other factors such as clogging of dust and dirt and pressure brought about by trapped debris. A periodic preventative check ensures the air conditioner unit is free from this debris and that any faulty part is repaired or replaced. This will in turn help maintain and improve the efficiency of the whole unit. A regular preventative maintenance allows your unit to use energy more efficiently. The cleaning of blades, cooling coils and other components reduces the amount of energy required to run them as compared to a unit clogged with dirt. A faulty air conditioner also demands more power. Having at least a single service on your air conditioner per year will help reduce the possibility of inefficiency, and in the long run, you will always have a friendly energy bill. A periodic check on your air conditioner will help increase its lifespan. 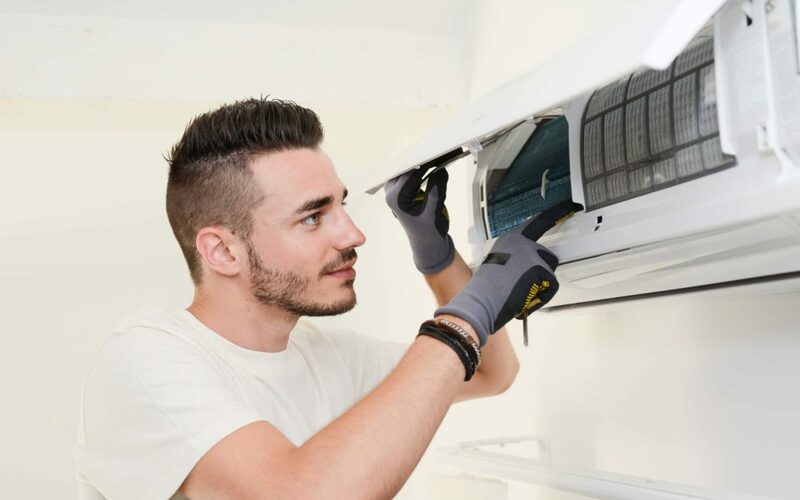 Lack of maintenance has been reported by many experts and manufacturers as the cause of the breakdown of an air conditioner before it reaches or near the end of its life cycle. A well-maintained air conditioner can continue working perfectly well beyond its estimated lifespan. It, therefore, means you will be saved from the expense and stress of acquiring a new one as you continue enjoying it in the comfort of your house. Lack of proper maintenance of the air conditioner can result into the accumulation of dust particles and debris. These lead to irregular temperatures throughout the day. When you properly maintain the air conditioner, you will no longer have to worry about the agony of extreme weather conditions as a result of the unit break down. Other than temperature regulation, a fitted air conditioner will also prevent the entry of dust and dirt into the rooms. The dirt and dust have been found to be the cause of eye sensations and headaches for those in the house. Regular maintenance will help keep the air conditioning system working correctly and more reliable.